Hawaii (Hawaiian/Hawaiian English: Hawai‘i, with the ‘okina) is the archipelago of the Hawaiian Islands in the Pacific Ocean. Hawaii constitutes the 50th state of the United States, and as of the 2000 U.S. Census had a population of 1,211,537 people. Honolulu is the largest city and the state capital. Hawaii, the state most recently admitted into the Union, has many distinctions. In addition to having the southernmost point in the United States, it is the only state that lies completely in the tropics. As one of two states outside the contiguous United States, it is the only one without territory on the mainland of any continent and is the only state that continues to grow due to active lava flows, most notably from Kilauea. 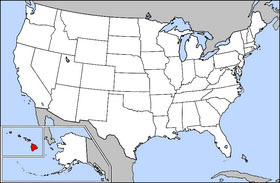 Ethnically, it is one of only two states that do not have a Caucasian majority and has the largest percentage of Asians. Ecologically and agriculturally, it is the endangered species capital of the world and is the only industrial producer of coffee in the nation. The state is comprised of nineteen major islands and atolls in the Central Pacific Ocean. The government also includes within its territoriality minor offshore islands and individual islets found in each atoll in its official count of 137 islands. The inhabited islands are those that lie between Ni‘ihau and the Big Island of Hawai‘i, but the island chain extends another 1000 miles (1600 kilometers) to the northwest. The most important cities and towns Hilo, Lihu‘e, and Wailuku, as well as the largest city and state capital, Honolulu. All of the islands were formed by volcanic activity; current volcanic activity is limited to the Island of Hawai‘i. The last volcanic eruption elsewhere in the archipelago was on the southwest flank of East Maui Volcano, near the end of the 18th Century. 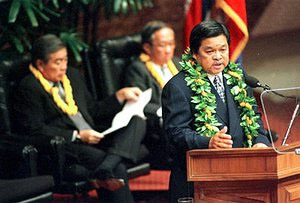 Hawaiian history can be divided into the following episodes: ancient Hawai‘i under the rule of local chiefdoms; consolidation and establishment of the Kingdom of Hawai‘i; overthrow of the monarchy by the Provisional Government of Hawai‘i, followed by governance as the Republic of Hawai‘i; from 1898 to 1959, governance as the Territory of Hawai‘i; Hawai‘i becomes the State of Hawaii of the United States in 1959. 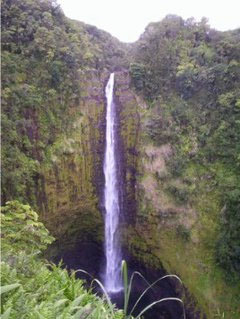 Historically, Hawaii is known for having a high amount of state taxes per capita. In 2002 and 2003, it had the highest amount of state taxes per capita, with $2,757 and $2,838 in state taxes per capita respectively. This can partly be explained by the fact that some services such as education, health care, and social services, are rendered at the state level, as opposed to the local level as in many states. Also, hundreds of thousands of tourists contribute to the figure by paying Hawaii's general excise and hotel room taxes. However, many business leaders in the state still consider Hawaii's tax burden to be too high. Hawaii is currently the only state in the union with a unified school system statewide. (Similarly, the commonwealth of Puerto Rico also has a commonwealth-wide system.) It is also the oldest public education system west of the Mississippi River. Policy decisions are made by the fourteen-member state Board of Education, with thirteen members elected for four-year terms and one non-voting student member. The Board of Education sets statewide educational policy and hires the state superintendent of schools, who oversees the operations of the state Department of Education. The Department of Education is also divided into seven districts, four on O‘ahu and one for each of the other counties. The population of Hawaii (Hawai‘i) is approximately 1.2 million, while the de facto population is over 1.3 million due to military presence and tourists. O‘ahu is the most populous island, with a population of just under one million. According to the 2000 Census, 6.6% of Hawaii's population identified themselves as Native Hawaiian, 24.3% were White or Caucasian, including Portuguese and 41.6% were Asian, including 0.1% Asian Indian, 4.7% Chinese, 14.1% Filipino, 16.7% Japanese, Okinawan, 1.9% Korean and 0.6%Vietnamese. 1.3% were other Pacific Islander which includes Tongan, Tahitian, Maori and Micronesian, and 21.4% described themselves as mixed (two or more races/ethnic groups). 1.8% were Black or African American and 0.3% were American Indian and Alaska Native.